Welcome to the website of this research project ! This website is still under construction, more elements and translations into English will be added in the coming months. But you might be interested in the following pages: photos of the Democracy Movement, some documents relating to the Democracy Movement, sources and literature. 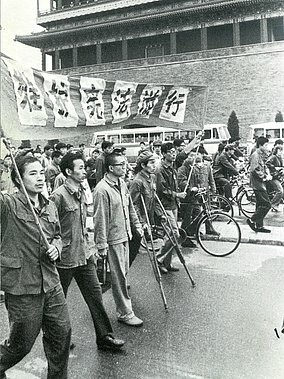 "Beijing Spring" was a citizens' movement at the beginning of the "reform and opening" era at the end of the 1970s. On "big-character posters" and in independent journals in a number of Chinese cities it advocated liberties and democratic reforms. Independent artists and writers joined the movement. Some reformers inside the Communist Party sympathized with the rights activists, seeing them as allies against the still powerful "conservatives" in the Party leadership. But as the Democracy Movement also challenged basic principles of communist rule as such, all pro-democracy activities were banned in early 1981. Dozens of activists eventually received harsh prison terms, many went into exile later. The ideas of the "Beijing Spring" saw a brief revival in the 1989 students' movement on Tiananmen Square. Even today demands by social groups for freedom of expression and media still remain on the agenda. 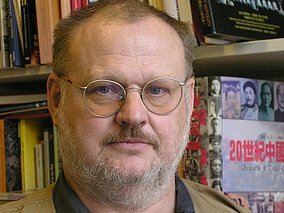 Starting from October 2013, Helmut Opletal has interviewed about 30 former civil rights activists and contemporary observers, mainly in China, France and the United States. He also searched and analized recent publications - most in Chinese - on the topic. The overall aim of this project is to collect and present memories and reminiscences of participants of the Chinese Democracy Movement, including avant-garde artists and writers associated with the activisties ("oral history"). It also seeks publication of other relevant material (written documents, photos, audio and video files,...) for academic and general use. Dr. Helmut Opletal, born 1952, is an Austrian sinologist and former radio journalist. From 1979, he worked as a correspondent for several German language media in Beijing. At that time he personally witnessed the Democracy Movement and met civil rights activists and avant-garde artists, he reported extensively on the events and collected related material. 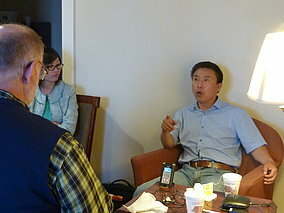 This personal experience has motivated him to look again into the events that happened more than 30 years ago, and to start this research project with the support of the Institute of East Asian Studies / Department of Sinology of the University of Vienna, and the Hochschuljubiläumsstiftung (research foundation) of the City of Vienna. Your feedbacks and opinions are welcome!